I guess I am already breaking a rule, but I decided that “30-Day Teaching and Learning Question Challenge” does not necessarily mean thirty consecutive days! So with the weekend safely behind me, here I am for Day 3 of Enoch Hale’s challenge. 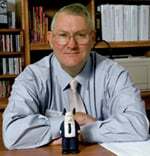 I am dating myself somewhat, but a decade ago, I was teaching business leadership courses at a technical college. 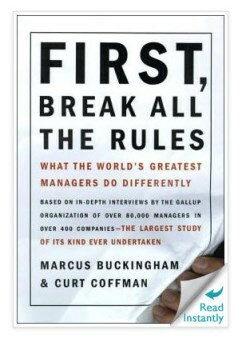 One of the bestselling business management books that I used was by Marcus Buckingham and Curt Coffman (1999) – First, Break All The Rules: What the World’s Greatest Managers Do Differently. Which for me today, raises the question: Day 3: What rules should faculty “break” in order to better enhance student learning? Wikipedia has a lengthy post on “rules.” There are rules for human activity, science, law and government, and a whole set of articles for rules for living, radicals, punctuation, and directions of mind. 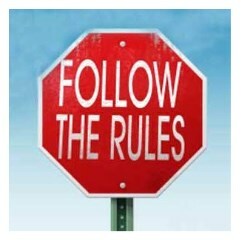 Rules indicate “standards” for any number of activities. Higher education over the past two centuries (and some might argue even longer) has evolved a number of rules – for admitting students, for assigning credit, and for conducting courses. “Course” in and of itself is a “rule” – 15 weeks, 45 hours of “seat time”, assessment rigor, etc. But what about at the “course” level…by the individual instructor. Not to suggest that we faculty have not had the academic freedom to “…teach or communicate ideas or facts (including those that are inconvenient to external political groups or to authorities) without being targeted for repression, job loss, or imprisonment.” We have certainly for the past 75 years enjoyed this freedom. But in many ways, group think has also established a set of norms that have molded what instruction looks like. I would submit that the question of using the web in instruction – any instruction – suggests that it is time to break some rules. In breaking the current teaching rules, I am not suggesting that we recruit good students. Rather, I am suggesting that we use the affordances of the web to draw out the natural talent resident in our students. Rather than creating courses that assess student knowledge through two multiple-choice tests, a mid-term and a final, we could buck the norms and use formative assessment to surface student prior knowledge and map individual pathways towards achievement of measurable learning outcomes. The web gives us as faculty the tools to help students find the right path for learning, focusing on the strengths they bring to the class and building collaborative and cooperative opportunities for learning. We can help each student find their right fit to education, building pathways for success. So, as faculty, what rules should we break? I would be interested in your thoughts. NextNext post: 30 Day Question Challenge – Day 4 – Which Way is Up? I’m very interested in the concept of “rule breaking” particularly as it relates to promoting intellectual creativity and flexibility for the instructor and students. This is especially significant to K-12 education where decision making autonomy is increasingly being taken out of the hands of teachers.